Long-Lasting Insecticidal Nets (LLINs) are one of the major malaria vector control tools, with most countries adopting free or subsidised universal coverage campaigns of populations at-risk from malaria. It is essential to understand LLIN durability so that public health policy makers can select the most cost effective nets that last for the longest time, and estimate the optimal timing of repeated distribution campaigns. However, there is limited knowledge from few countries of the durability of LLINs under user conditions. This study investigates LLIN durability in eight districts of Tanzania, selected for their demographic, geographic and ecological representatives of the country as a whole. 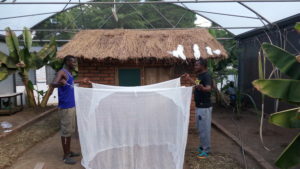 The characteristics of bed nets being studied include, rates of bed net attrition at households, trends of bed net bio-efficacy against malaria mosquitoes during the period of use, the chemical content of the bed nets at different stages in the life time of the bed nets, the physical durability of the bed nets including how long they last and how quickly they develop holes. 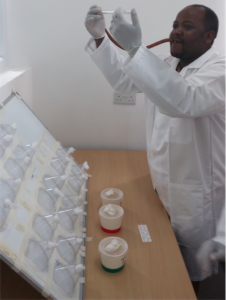 The study also has a component of insecticide resistance, looking at geographical variabilities in bed net efficacy across Tanzania, in areas with differing insecticide resistance profiles.